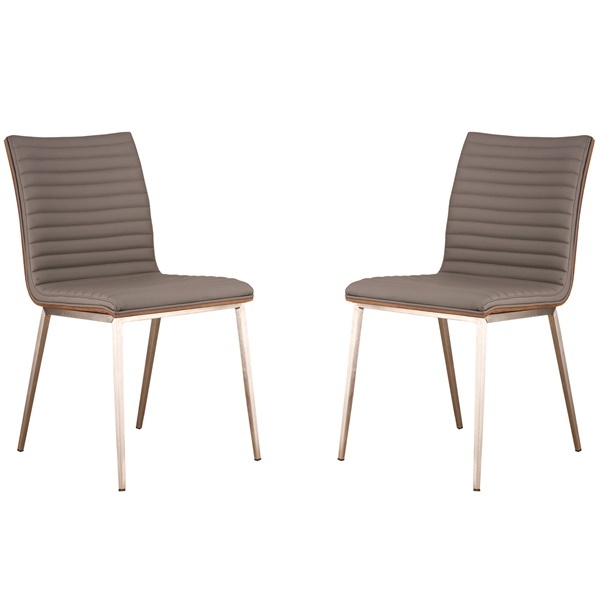 You can create a very comfortable and welcoming statement with the Cafe Dining Chair from Armen Living. This elegant, clean chair’s upholstered in a variety of colors to help you find the one that is right for you. The frame’s made from brushed stainless steel and the chair’s back made from walnut veneer. Durable polyurethane upholstery in your choice of color to mix or match. Stainless steel base for stability and shine. Complements other Café pieces by Armen Living.